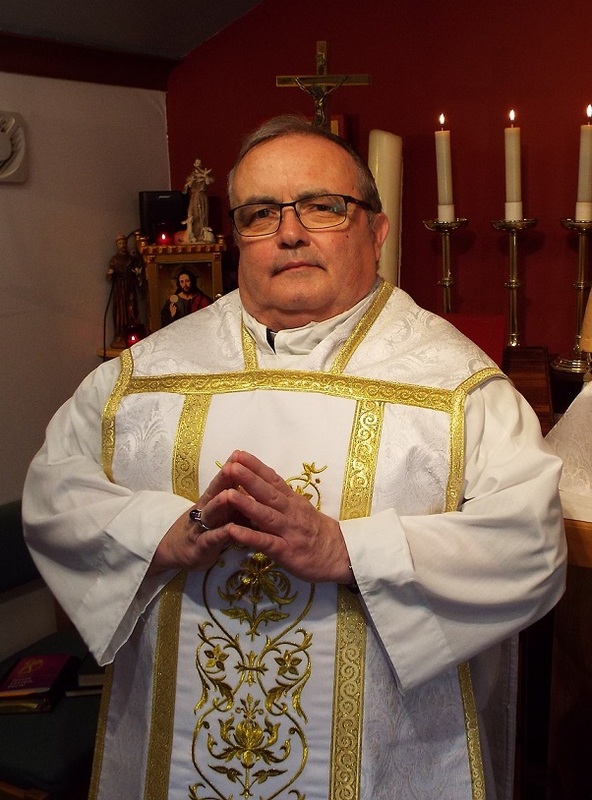 Fr Edward has led a somewhat peripatetic life style, a native of Southampton, he has also lived in Romsey, London, Cairo and for many years in Rome and more recently in a small village in Tuscia, north of Rome. Fr Edward was for many years an international Tour Guide, conducting groups of tourists through most European countries and specialising in tours of Italy. He also worked as a freelance translator, translating for many international companies from Italian into English. From 2007 until 2016 he worked as a teacher for the Italian military, teaching in various army and air force bases. He returned to his native Southampton in 2016. He started his philosophical and theological studies at a tender young age in the Gregorian University in Rome and also studied for a theology degree in Heythrop college in London. Fr Edward has a particular interest in Church history, particularly the first 500 years of the Church, the early Councils of the Church and has recently developed a keen interest in Eastern spirituality/theology. He remains a determined reader and tends to steep himself in monastic spirituality, believing that our only way to Christ is through sustained contemplation and prayer. Fr Edward had the privilege of living the monastic life in a Benedictine monastery for some years in London. He was ordained to the Diaconate by +Alistair Bate in St Gall’s Retreat in May 2015 and ordained priest by +Thomas Bodkin in October 2015. Fr Edward finally joined Tessac in 2018. In Tessac he has found a small but loving and vibrant catholic community. He was drawn by the wonderful traditional liturgies and the special devotion to the Eucharist and Our Lady. He has finally found in this community a home, and is devoting himself to ministry in this Church.